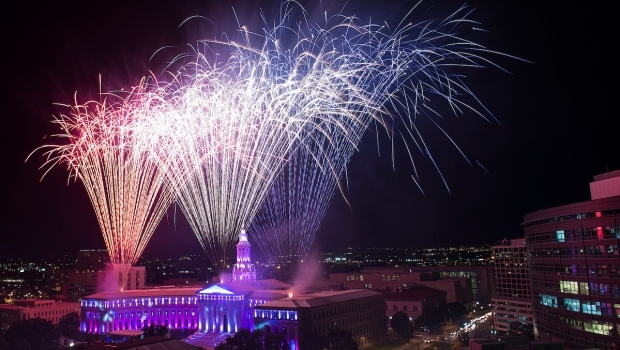 If you're looking for the best place to watch fireworks this year, you'll have a wide variety of options. For the second year in a row, the "Macy's 4th of July Fireworks Spectacular" will be on the East River, making for great spots across three of New York City's five boroughs (and on TVs everywhere on NBC 4 New York). But there will also be some pretty great displays in other parts of the city and throughout the tri-state. Brooklyn Bridge Park, DUMBO: This is considered the “golden spot” for seeing the display, offering breathtaking looks of the fireworks and the lit-up Manhattan skyline. It’ll get crowded quickly, so be sure to get there early. Brooklyn Heights and the Brooklyn Bridge Promenade: Another couple of spots that offer sweeping views of the Macy’s display, but you’ll have to stand. Berry Park, Greenpoint: The venerable watering hole off McCarren Park features a roof deck that should offer great views of all the barges. You’ll need to buy a drink to stay for the display, but the bar has a wide selection of German and Belgian brews and a fully stocked bar. Fornino Pizza, Brooklyn Bridge Park: This pizza shop offers sweeping views of lower Manhattan that should make for a great fireworks display. Tickets for the roof deck are already sold out. Brooklyn Grange, Greenpoint: The sprawling rooftop farm offers spectacular views of both Manhattan and the fireworks display. Tickets -- $125 apiece – have already sold out. Wythe Hotel, Williamsburg: There’s a $30 cover charge, and lines to the roof deck will likely be longer than they are normally, but you should get a great view. Grand Ferry Park, Williamsburg: The waterfront park in tony Williamsburg is sure to be crowded, but you should get a great look at the fireworks coming off of barges near midtown. MCU Park, Coney Island: You won’t be able to see the Macy’s spectacular from the Cyclones’ park, but the stadium will be shooting off fireworks after the team’s game against the Williamsport Crosscutters. You should also be able to see that display from other parts of Coney Island. South Street Seaport: The Manhattan attraction has been voted the best viewing spot in the city. Like the popular spots in Brooklyn, get there early to assure a spot. FDR Drive: How often can you say you got to walk on the FDR? There will be several entry points along the highway, which should offer some unique views. East River Park, Lower East Side: The large park should be another great place to see the display. Sonny’s Soda Shoppe, SoHo: The rooftop bar should offer cocktails, gelato and great views of the fireworks. There’s a $150 cover charge. Hornblower Hybrid: The cruise ship will be offering a fireworks cruise on Independence Day that should offer some spectacular views. The ship boards at Pier 15 at 6 p.m., and tickets cost $250 apiece. Circle Line: Another fireworks cruise option. Tickets start at $150 a person and boats board at Pier 83 at 6 p.m.
NY Water Taxi: This sightseeing cruise service is offering a couple of cruise options. Tickets start at $190. Gantry Plaza State Park, Long Island City: One of the few places in Queens to catch the fireworks, so get there early. Z Rooftop Bar, Long Island City: The bar near the Queensboro Bridge should offer some great views of the northernmost fireworks barges. Richmond County Bank Ballpark: Catch the Staten Island Yankees and a show for $15-$18. Liberty State Park, Jersey City: A huge carnival with some concert acts will precede a fireworks show with the backdrop of the Statue of Liberty and Manhattan. Hoboken, Weehawken and other towns: Get away from the New York City crowds, and still catch some great displays. Jersey Shore: Several towns will be offering their own displays. Jones Beach: Finish off a day at the beach with a fireworks display. Several towns will be offering their own fireworks displays, so check your town’s Facebook and Twitter pages.